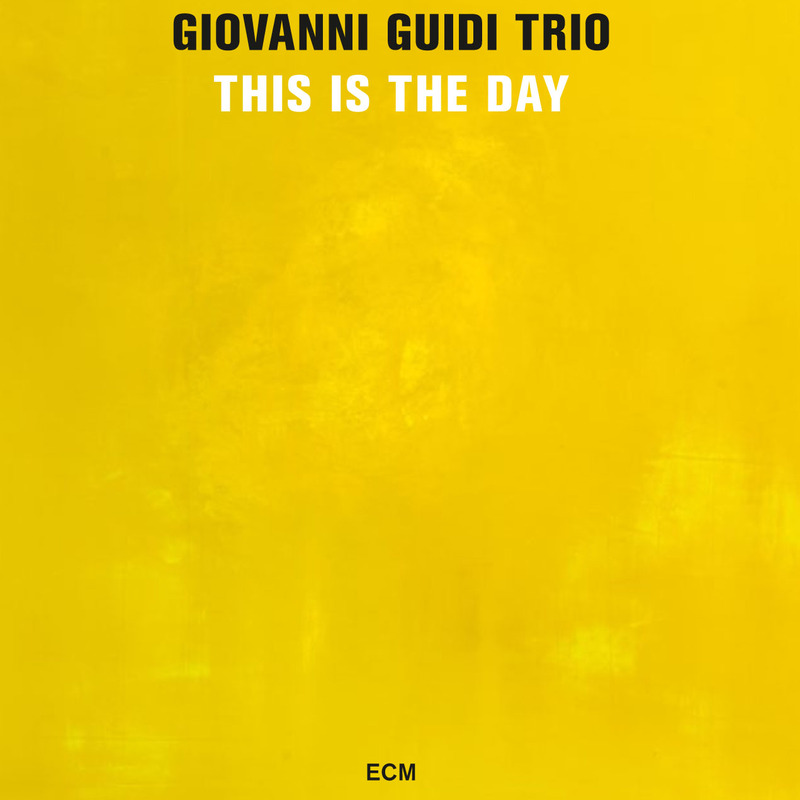 When Italian pianist Giovanni Guidi, American bassist Thomas Morgan, and Portuguese drummer João Lobo made their ECM debut as a trio with City of Broken Dreams, they quietly shrugged off the trend of splash-making entrances. What they produced instead nearly took me aback with a lyricism not heard, I dare say, since Paul Motian at the peak of his invention. The style was, at the same time, very much its own and begged many contemplative returns to understand the breadth of its purview. Now, on This Is The Day, Guidi and his cohorts again tend a field of largely original soil, leaving twelve meticulously tilled rows for a harvest of 74 glorious minutes. The aching lyricism of “Trilly” (including its later variation) hits the chest in slow motion. 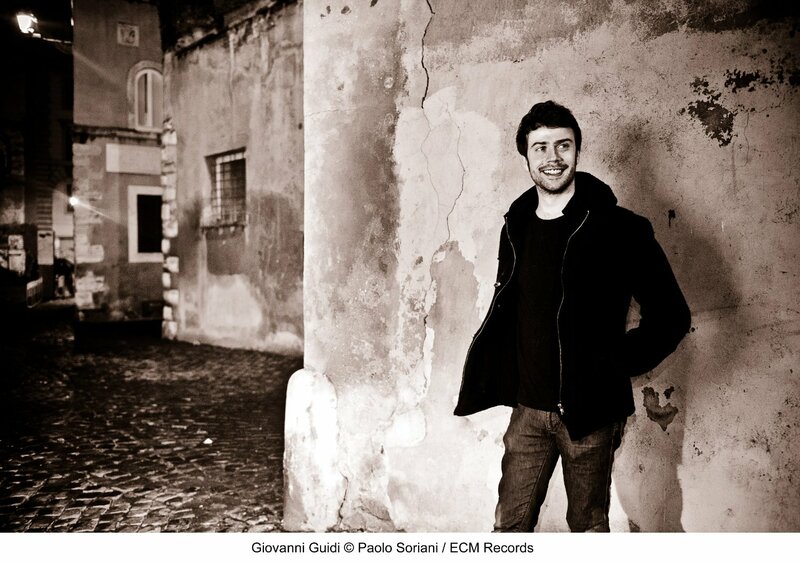 Guidi’s pianism is assuredly delicate from the start: every note knows its place. And yet, while his craft may be the heart of everything, its beats are nothing without mind and body, and these his rhythm section most healthily provides. Be it through Lobo’s thoughtful traction in “Carried Away” or Morgan’s lucidity of expression in “Game Of Silence,” they further the trio’s mission of lifting every rock in places torn to their foundations by strife, salvaging whatever melodic material they can in the hopes of reuniting it with the original owners. Whereas in the first album there was little time for rebuilding, here the band is constantly separating and fitting architectural elements together. Through intensive understatement, each member’s contributions are translucent enough to let the others show through. Also showing through are the band’s heightened powers of illustration. The plucked piano strings and pointillist accompaniment thereof are only the beginning of “The Cobweb,” which builds to an almost frantic density. Despite its brevity and abstraction (most of the surrounding tracks are melodic and of sizable duration), it holds a wealth of information and, like a web, trembles at even the most peripheral movement. This, along with the rubato poetics of “The Debate” and the sporadic “Migration,” comprise the freest portions of the set. Guidi makes it all sound effortless by never giving in to the drama of verticality. Even the cosmically good melodizing of “Where They’d Lived,” the album’s master ballad, rests on a hammock between skyscrapers, so content in the danger that it wears fear like a blanket. Behind closed eyes, Guidi’s dreams sound like “The Night It Rained Forever,” a boat ride through drone and mist that resolves into shores both empty and alive. Only three tracks bear non-leader credit. Lobo’s “Baiiia” is a nuanced construction of cymbals and drums, of which tracings from piano and bass build to a tidal finish, while the standards “Quizas Quizas Quizas” (penned by Cuban songwriter Osvaldo Farrés and made famous by Nat King Cole) and “I’m Through With Love” recall Tord Gustavsen’s likeminded trio in its finest hour. As songs without words, they have so much more to say than with. At their departure, the currents of a thousand rivers converge into one, sending us on our way toward the hope of a thousand more. A modern classic before a single note was laid down.